In the past years, a collection of hardware, software and online service have managed to bring changes and reforms to classrooms and teaching methods. But the true disruption of education is yet to arrive. Here’s how AI and its derivatives are gradually finding their way into the classroom, and beyond. Traditionally, schools adopt a one-size-fits-all approach to teaching. But students learn at different paces and have different progress rates. Meanwhile, teachers often find it hard to identify and deal with the educational needs of students attending their classes. This is a problem that Artificial Intelligence is solving. 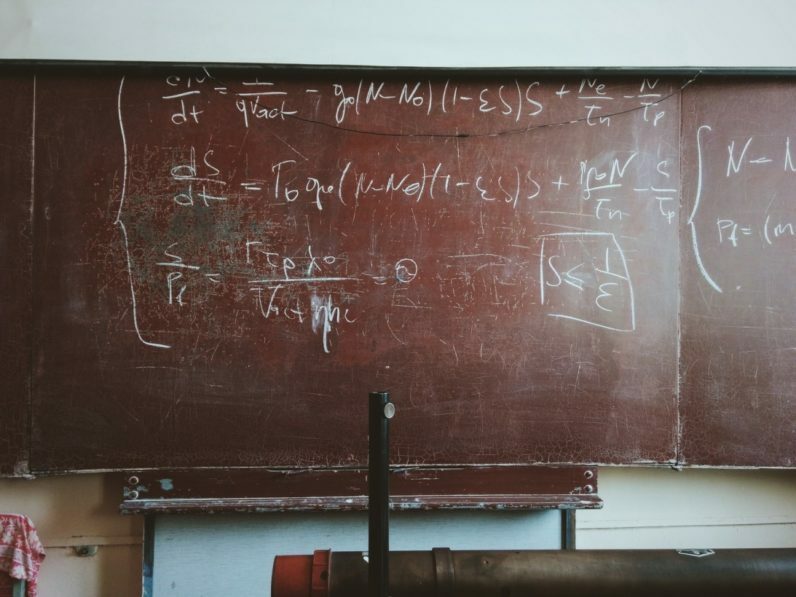 Machine Learning algorithms, programs that glean patterns from data and provide insights and suggestions, help teachers to find gaps in their teachings and point to where students are struggling with subject matter. Third Space Learning, an online math tutoring platform that debuted five years ago, is exploring the concept. Capitalizing on the huge store of student-teacher interaction data it has collected from millions of lessons, Third Space has launched a AI project that aims to find positive teaching and learning patterns. The company’s goal is to create a platform that gives real-time feedback and helps online tutors become better at teaching. For instance, the system will detect if a student’s reaction to a concept follows a pattern of misunderstanding. By giving early warning to teachers, the platform can help prevent problems further down the road. “If we can aim to shape the performance of the teacher — the teacher being the significant input into a child’s learning — then you’re creating something truly powerful,” says Tom Hooper, founder of Third Space Learning. The use of AI-based tutors helps students adopt productive learning behaviors, such as self-regulation and self-explanation. Some of the noteworthy examples of these intelligent tutor systems include Thinkster Math and Carnegie Learning. A joint project between Stanford University and University of Washington is also working on an AI-powered tutoring system. This new engine leverages reinforced learning to tell if its current curriculum isn’t enabling all students to learn well, and then asks people questions to self-optimize the system. “Such human-computer collaborations could help students to learn using approaches we can’t yet imagine,” explains assistant computer science professor Emma Brunskill, who leads the effort at Stanford. Almost as old as the classroom itself is the practice of getting help from private tutors and classmates to fill the gaps and complement what is taught in the class itself. In recent years, thanks to online services, students have been able to get help from peers thousands of miles away. Now with the help of AI and Machine Learning, finding remote help is becoming even easier. Brainly, a social network that helps millions of students collaborate, is exploring the power of AI on its platform. In order to make sure it is serving quality content, Brainly uses a team of over a thousand moderators to help vet and verify questions and answers users put on the platform. Now Brainly is using Machine Learning algorithms to automate the filtering of spam and low quality content and help moderators focus on providing quality services to students. But beyond content moderation, Brainly is also using AI algorithms to personalize its platform’s networking features. The company will enhance the user experience by making friend suggestions based on areas where students need help. “With the increasing capabilities of machine learning, there is a unique opportunity to personalize learning to individual students,” says Erik Choi, Principal Researcher at Brainly. Textbooks, students books and course material are usually tailored for the average student and printed in large numbers for millions of students to use. But as we’ve all experienced, not all teachers and schools have the same teaching style. Now, thanks to AI, teachers and schools will be able to create textbooks and exercises that are customized to the needs of their specific courses and students. Content Technologies, Inc (CTI) is a company that is leveraging Deep Learning, to create assemble custom textbooks. After educators import their syllabus and material into CTI’s engine, the system reads and masters the content, and finds new patterns. The algorithms then use the gained knowledge to create textbooks and classroom material based on the core concepts. CTI is using the technology to provide publishing services to secondary and higher education institutions. In Intelligence Unleashed, a paper published by learning company Pearson, the authors suggest the concept of “lifelong learning companions.” These software agents that can exist in the cloud and be accessible from multiple devices, gathering data about children and assisting them as they grow and develop their knowledge. We still have ways to go before learning companions become a reality. But the fast pace at which AI is gaining traction in education heralds a promising future. However, beyond the passing of knowledge, teaching is a complex social interaction. This means teachers can rest assured — for the moment at least — that robots won’t be replacing them. They will instead assist teachers in becoming better at their job.